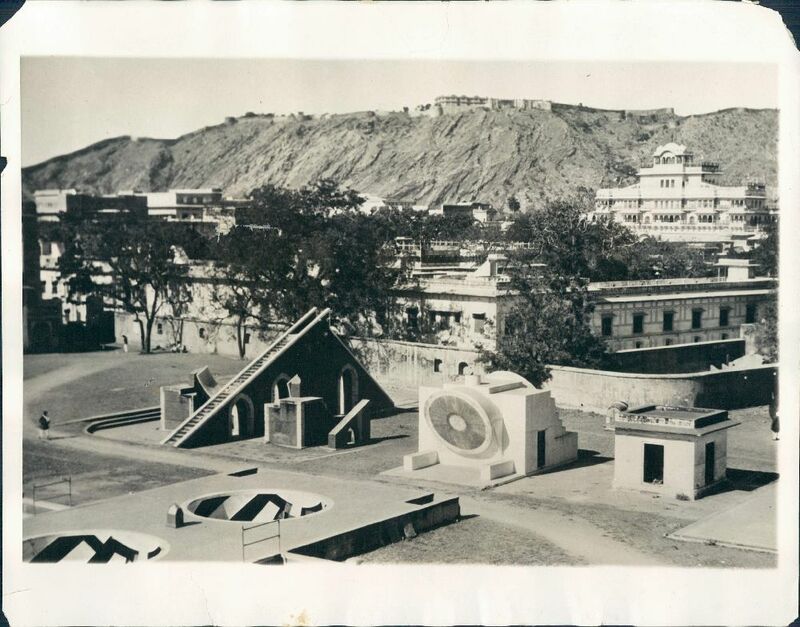 The Astronomical Observatory at Jaipur, India, built by emperor Jai Singh, who ruled that state several centuries ago. The instruments for studying the stars - and the weather too - are highly accurate. The Present ruling prince who is a descendant of Jai Singh, lives in the palace at the right.